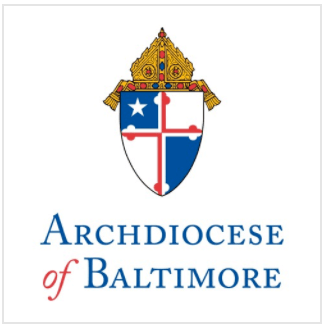 Archbishop Edwin O’Brien, Archbishop of Baltimore, will visit with students at Mother Seton Academy, located at 2215 Greenmount Ave. in Baltimore on Friday, February 5 at 9:30 a.m. in honor of Catholic Schools Week. Mother Seton Academy is an all-scholarship, independent Catholic middle school serving at-risk boys and girls from urban, low-income families of all faiths. The school is part of the NativityMiguel Network of Schools, a consortium of 64 independent, faith-based schools serving some of the nation’s poorest urban areas in more than 24 states. This year’s nationwide theme of Catholic Schools Week is, “Catholic Schools: Dividends for Life.” The week runs from Jan. 31 to Feb. 6 in Catholic schools throughout the nation and was launched 35 years ago. The purpose of Catholic Schools Week is to build support and recognition for the almost 8,000 Catholic schools nationwide. During this week, many dioceses encourage parents to enroll their children in Catholic schools. Catholic Schools Week is also an opportunity to interest citizens in volunteering their time and talents to local Catholic schools. There are 82 Catholic schools serving 31,276 students in the Archdiocese of Baltimore, which consists of Baltimore City and the following counties: Allegany, Anne Arundel, Baltimore, Carroll, Frederick, Harford, Howard, and Washington. The average class size is 25 students; 97 percent of students graduate from high school; 95 percent of students attend college; 100 percent of schools participate in community outreach; 89 percent of students participate in extra-curricular activities. There are 11 Catholic schools in the Archdiocese recognized by the U.S. Department of Education as Blue Ribbon Schools.